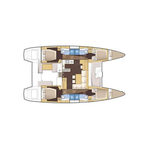 Yacht Lagoon 450 called Bright Star has been manufactured in 2015. We offer this vessel from harbor Trogir in the area of Split. Bright Star is certified for 12 pax. 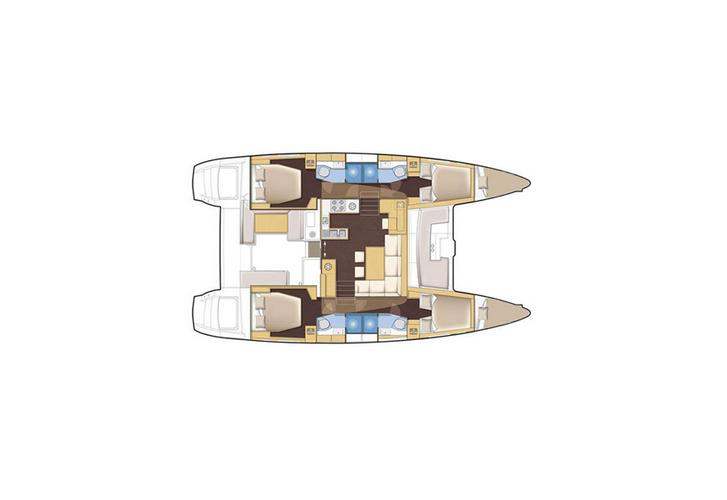 Layout of the vessel is 12 8+ 2 salon + 2 crew. 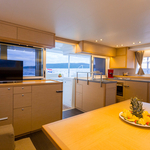 Lagoon 450 Bright Star has 6 cabins. For guests disposal there are 5 bathrooms. You can fill the tank for fuel with 1000.00 l liters and in tank for water it goes even 350.00 l l. With motor 2x40 hp Bright Star can sail really fast. Bright Star is 13.96 meters long and 7.84 m wide. Depth is 1.30 meters. 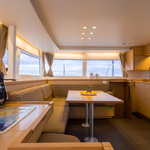 Read about more yachts by going to this section: Catamarans Trogir. 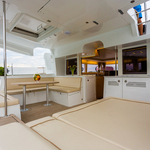 Yacht's equipment consists of : Classic mainsail, Mainsail with lazy jack, TV, DVD player, Bed linen, Air conditioning, Bed linen & towels, Icemaker, Radio / cd player, Gps plotter, Autopilot, Gps, Teak cockpit, Dinghy, generator, Canoe, Outboard engine. . Security caution has value 3000.00 EUR. Choose our offer and have fun on the deck of Bright Star. 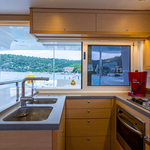 This Lagoon 450 from Trogir from Croatia Find under this link: Catamarans Croatia.